Greeneville is an idyllic small town of roughly 15,000 which is located in the northeast corner of Tennessee. It serves as the seat of Greene County and is considered part of the Appalachia region. 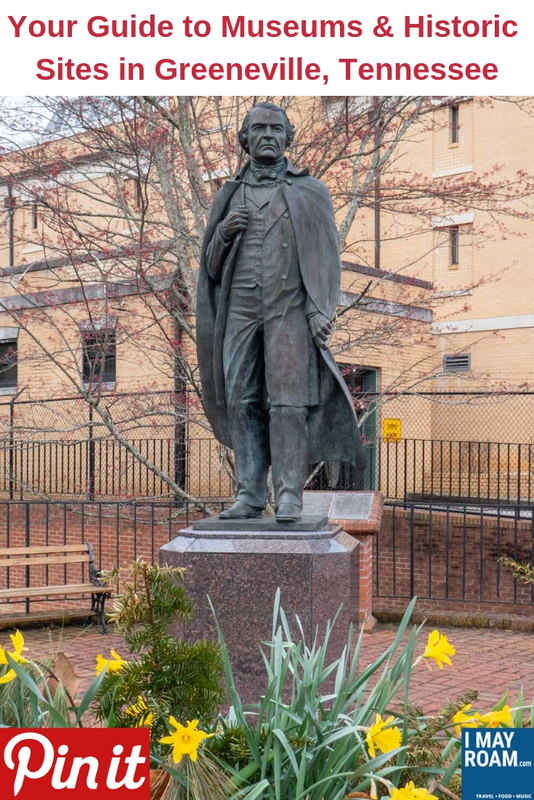 Greeneville was founded in 1783, which is coincidentally the same year that the United States defeated Great Britain in the War of Independence. The town is surrounded by rolling hills and known as the home of President Andrew Johnson. 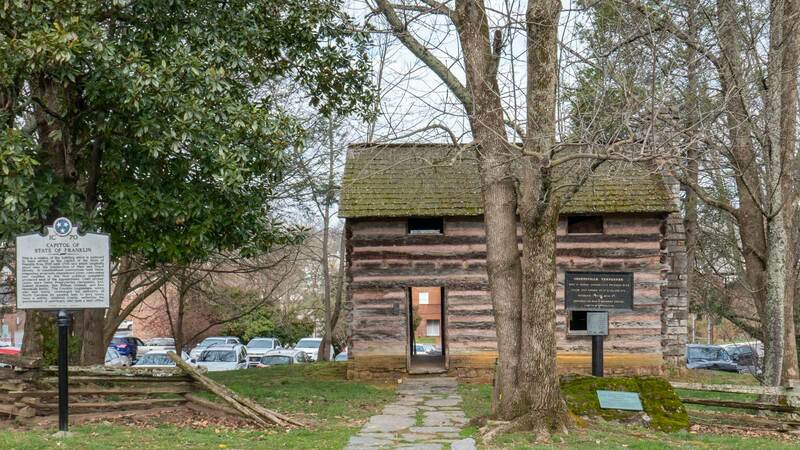 Johnson’s family homestead, museum, and grave are all located in Greeneville, and there are plenty of other museums and quirky historical sites located in the town. By 1851, Andrew Johnson had outgrown his family home on the corner of Depot and College Streets. He offered a builder $950 plus his old house to build the house where his family would spend the final 25 years of his life. Although, he was the wealthiest man in Greeneville by the end of his presidential term, the house is far from the most palatial in town. It’s currently restored as it stood in 1869, which is the year the Johnsons returned from the White House. 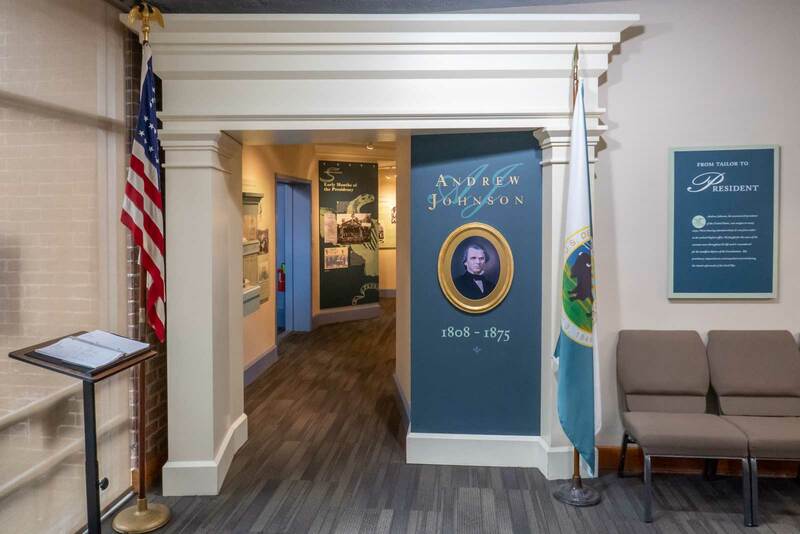 45-minute guided tours can be booked at no charge at the nearby Andrew Johnson National Historic Site visitor center. 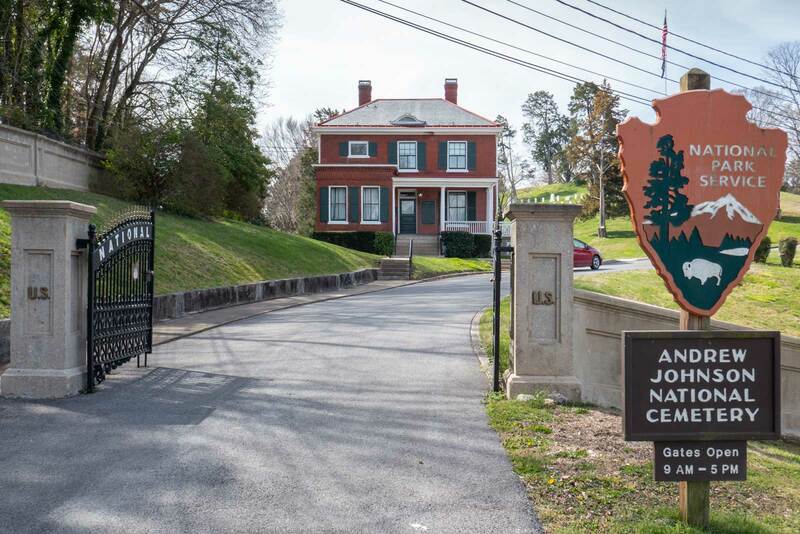 At the Andrew Johnson National Historic Site, you can trace the 17th President of the United States’ journey from tailor to the White House. The building was built around his original tailor shop, which still stands as a sectioned-off exhibit. At the end of your self-guided tour, you get to vote on whether or not Johnson should have been impeached. 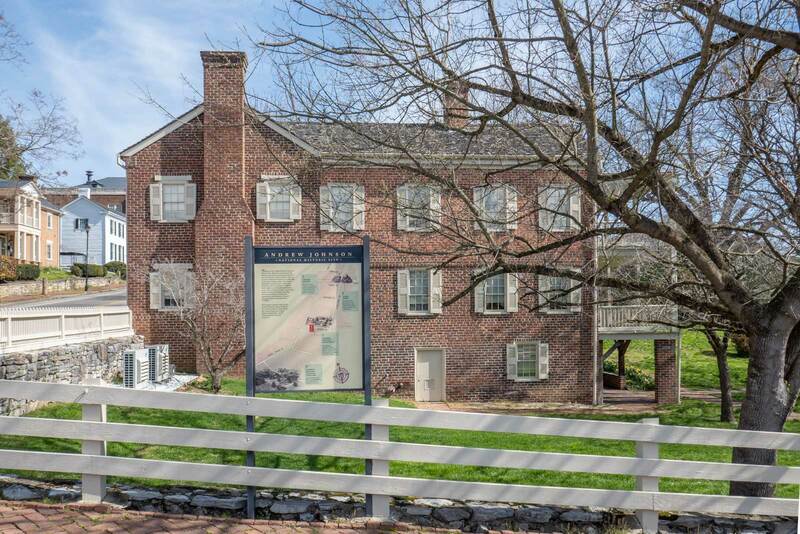 Admission is free and you can also book a guided tour of his homestead in the visitor center. One of only two active cemeteries within the National Park Service, Monument Hill is the final resting place for three generations of Johnsons. As Greeneville’s wealthiest citizen, Johnson bought the land in 1852. He visited often for the unobstructed views of the surrounding mountains. During the American Civil War, it was used for signaling, thus earning the temporary name of “Signal Hill.” Following his death in 1875, Johnson was buried atop the hill. The tallest obelisk in the cemetery stands above the graves of Mr. and Mrs. Andrew Johnson. 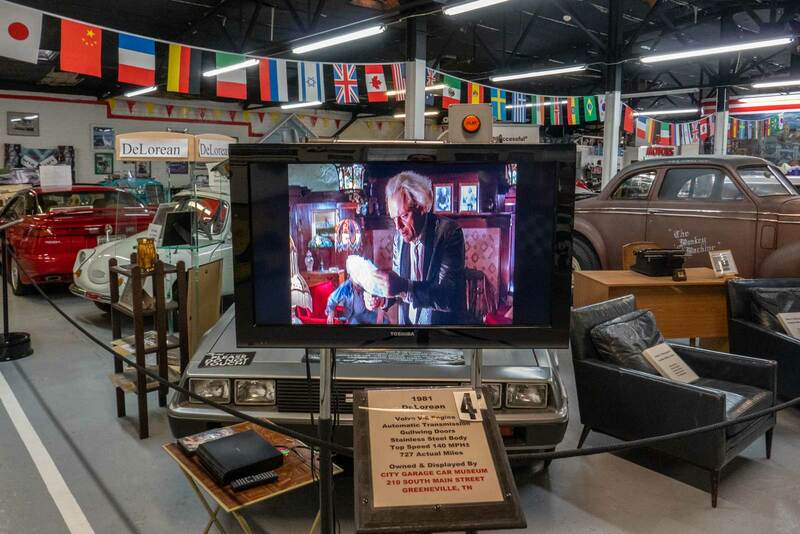 You can check out a 1981 DeLorean from Back to the Future as well as more than 30 other classic cars and trucks dating all the way back to 1901 at the City Garage Car Museum. The museum is housed in the former Bewley Motors and has a circa 1950s diner (called Suzie Q’s). Inside the diner, a TV plays Americana classics like Smokey and the Bandit and American Graffiti. One of 11 Civil War sites in Green County, the Dickson-Williams Mansion dates back to 1821. 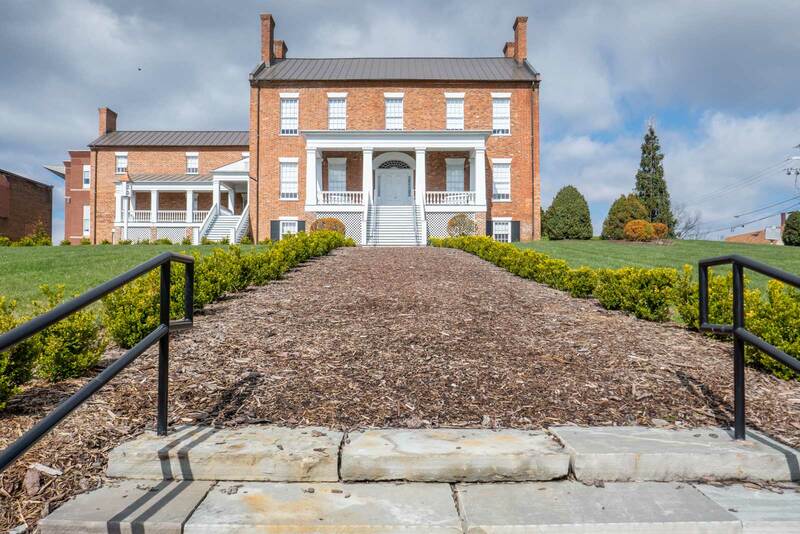 Until the start of the Civil War, this Federal-style mansion served as the center for lavish entertainment in Greeneville, even hosting three former presidents. After the outbreak of the American Civil War, possession of the mansion on the hill changed sides, culminating in the death of Confederate General John Hunt Morgan at the hands of Union troops. Upstairs, you can see what slave quarters looked like as the Dickson and Williams families had 54 slaves (according to the 1850 census). At the Greene County History Museum, you can learn about the county’s history dating all the way back to 10,000 B.C. The three-floor museum, housed in a former school has 12 galleries and 12 walk-through exhibits. Highlights include the exhibit on Greeneville native, Davy Crockett as well as the Magnavox and Civil War exhibits. 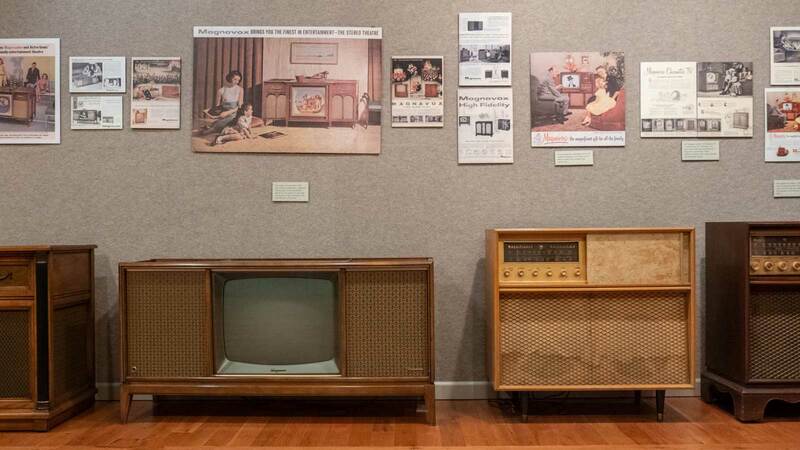 The last television made in the United States was made in Greeneville back in July 2005. Interestingly enough, during the American Civil War, Greene County served as a stronghold for pro-union abolitionists. 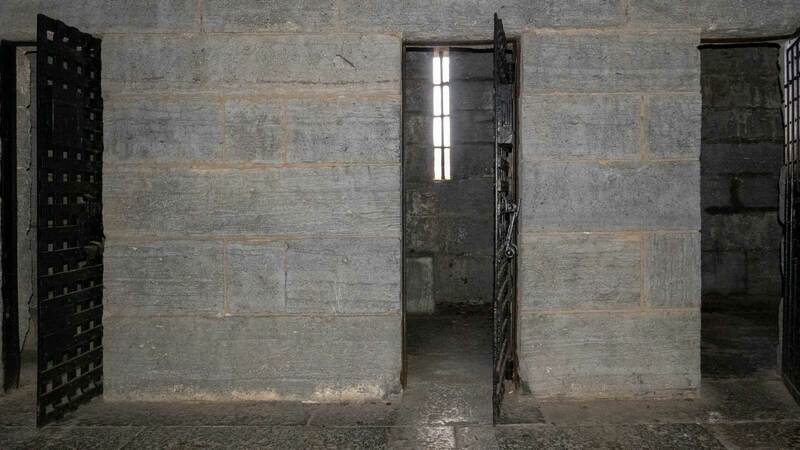 Known as a “gaol” back in the early 1800s, Old Green County Jail is rumored to be the oldest detention center in the state of Tennessee. Although the current site is not the original, the stones are. In fact, they were carried to the present site from the original, which was located near Andrew Johnson’s tailor shop. From 1785-1788, Greeneville served as the capital of the now-defunct state of Franklin (named after Benjamin). During that short time, the “Franklinites” fought with the Native Americans and Davy Crocket was born in Greene County. There’s a colossally underwhelming replica of the former capitol building located along North College Street. This post was sponsored by the Northeast Tennessee Tourism Association. During my visit, I stayed at the General Morgan Inn and Conference Center, which is an ideal base from which to explore Northeast Tennessee. Read more about the region here. All pictures were shot with a Panasonic Lumix ZS100 4K Point and Shoot Camera. Have you been to Northeast Tennessee? Leave a comment below! Hi Snehal. Thanks for reading. Hope you get to visit soon! So many great places to visit! I have always wanted to go. Know if any haunted houses?! Good question, Komal. Not sure about that, but check out Gettysburg, PA for haunted houses. Thank you for the details. If opportunity presents itself, when we visit the state we might drop by on a few of them. I love visiting museums one after the other. Pics look very nice. I am sure would love visiting all of them. Wow, that’s quite a few interesting places to go visit. Sounds like there is a lot of history there. My son would love the car museum. Hi Melanie. Yes, it reminded me of Back to the Future, which I haven’t watched in many, many years! What a neat little place! Funny, my husband and I was just watching about the Alcatraz history on the travel channel the other day and saw your post about the closed Greene County jail. Yes, there’s not much left of it, but you can get your picture taken behind the bars as many tourists do. One of my besties stay in Tennessee. I have been there but not have visited any of these places. I’d love to check out these places, ALL. Hi Moni. Thanks for reading. The larger cities tend to be in the center and western part of Tennessee. I don’t know if I would ever visit because I live so far, but I have to say that I really liked how you made this tour guide. What a lovely place to visit ! Hi Elena. Yes, Northeast Tennessee is very laid back compared to the northeast, where I live. I don’t know why, but I never thought about a presidential place for Andrew Johnson. But I do love my history. I would love to go check it out some time when I get the chance as well as all the other historical sights here. They look great. I have yet to visit Tennessee. I like to travel and hopefully will be able to do that soon. This is a great guide you got here. I would love to visit this place one day.